I promised to fill you in on the Sairy Gamp, a little canoe that carries so much Adirondack history. The story of Sairy begins with two men who are legends in the North Country. The lives of these men, John Henry Rushton and George Washington Sears, were so intertwined that without one another they could not have achieved greatness. They fed off one another’s talents, one built amazing wooden craft of superior quality and exquisite design while the other was a remarkable adventurer and journalist. Sears needed a very small vessel to carry him through the Adirondacks for three voyages he planned to take from 1880 to 1883. 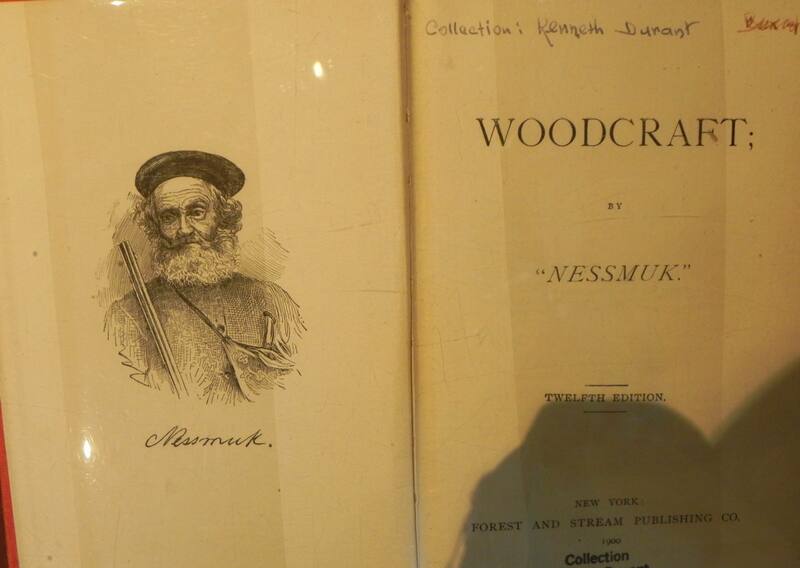 During these voyages he intended to write of his adventures for the popular outdoor magazine Forest and Stream under the pen name Nessmuk. He challenged Rushton to build him a canoe that was sturdy, yet light weight. Sears was especially concerned about the weight of his craft. He knew that many carries must be crossed during his paddles. He was a small man weighing only 110 lbs. so every ounce counted. Rushton built five tiny canoes for Sears but Sears favorite was the Sairy Gamp. She weighed 10 1/2 lbs. and was 9 feet long. She was made of white cedar with half round elm ribs, closely spaced to give her additional strength. Rushton warned Nessmuk not to ask for a smaller boat. “Don’t try for a smaller one” he said, “If you get tired of this as a canoe use it as a soup dish”. Sears was a very well read man and that assures me that he named the Sairy Gamp. She was named after a nurse in one of Dicken’s novels who loved her gin straight and never took a drop of water with it. So it was with the Sairy Gamp canoe who never took on a drop of water. Nessmuk said that Sairy never let him down and only once did she dump him. Nessmuk took full credit for that capsizing (he may have tried to look over his shoulder to see something behind him as I have done in light weight canoes and flipped over). The Sairy Gamp on loan to the Adirondack Museum from the Smithsonian. Photo courtesy of John Homer. Sears was born in Webster, MA in 1821 to a poor family. When he was a small boy he made friends with a Native American youngster named Nessmuk, who taught him the wood lore that would stay with him the rest of his life. Nessmuk means wood duck or drake in the Narragansett language. He adopted the pen name Nessmuk in gratitude for all he learned from the Native American. When he was but eight years old he was conscripted to work in a cotton mill. There he worked from dawn to dusk with little time for rest. What breaks he did have were spent with Nessmuk roaming in the nearby forests and honing his woodcraft skills..
At age twelve he left home for his grandmother’s home on Cape Cod. There he would row a whale boat out to sea almost daily to fish. When nearly 20 years old he signed on with the Rajah, whaler out of New Bedford, MA. He spent three years on the Rajah in the Pacific in pursuit of whales. Like Adirondack Murray, Sears felt that the common man should have access to the wilderness without having to spend beyond his means. He published Woodcraft, a book that covered all aspects of living outdoors. It would become a much sought after volume and was reprinted in 1963. Title page of Nessmuk’s book Woodcraft. In this posting I am grateful for the great treasure of information about Nessmuk found in the book Canoeing the Adirondacks with Nessmuk, The Adirondack Letters of George Washington Sears by Dan Brenan with revisions by Robert L. Lyon and Hallie E. Bond. 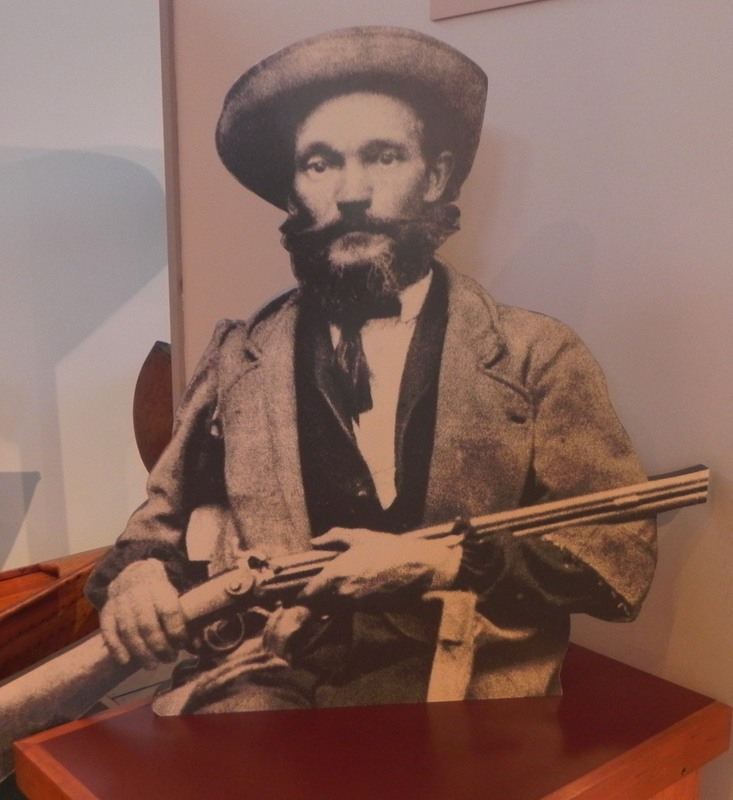 In writing this post I am borrowing heavily from the Adirondack Museum’s exhibit on Rushton. This means I am probably taking from the work of Hallie Bond who was the former curator of watercraft at the Museum. I am supposing that she had much to do with planning and setting up the exhibit. I spent a year working with Hallie at the Museum as a volunteer. Her knowledge of boats and boating in the Adirondacks (she authored a book by that title) is extraordinary. During my tenure we moved the Museum’s boat collection from temporary, inadequate quarters to a brand new state-of-the-art Collection Study and Storage Center in Blue Mountain Lake. Great fun and a great learning experience. Back to Rushton. Here is a photo of J. H. and his wife Leah. 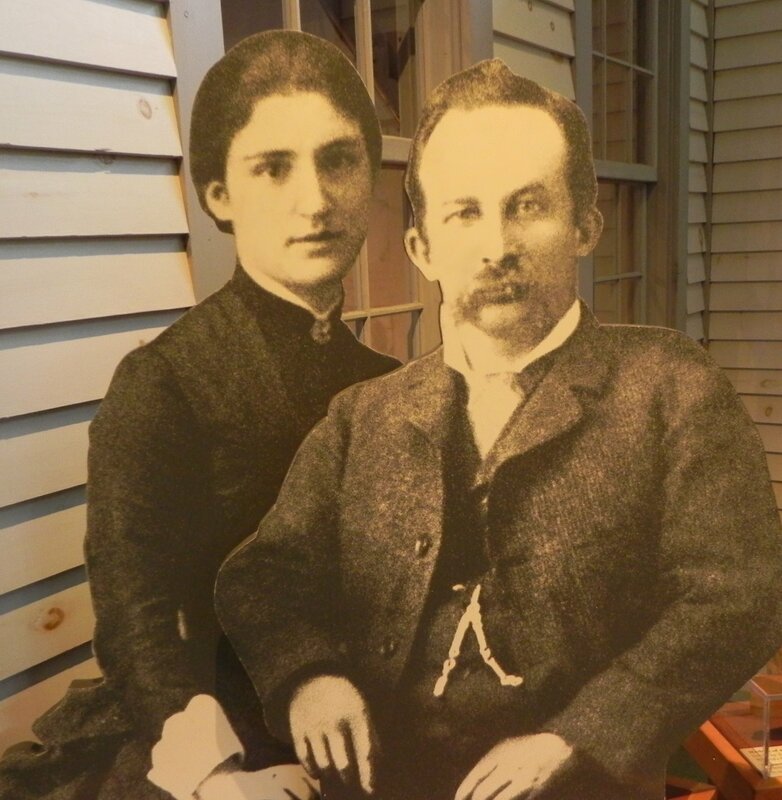 J. H. Rushton and his wife Leah. J. H. was a hands on business man. He was the earliest on the job each day where he make sure stock was milled and ready for his crew of 17 to 20 men who worked year round. Here they are in 1920. J. H. Rushton’s crew in 1904. J. H. is standing on the left in vest and tie. His workers earned anywhere from 10 to 25 cents an hour. In 1881 they produced 250 canoes. Rushton would custom build boats for his clientele as he did for Nessmuk. Nessmuk persuaded him to build small, lightweight canoes, a style not a favorite of Rushton. This line of one man craft became quite popular with “outers”, men who chose to go out into the wilderness without a guide. Rushton named this line Nessmuk, drafting on the popularity of Nessmuk’s journals published in Forest and Stream. “By 1886 Rushton was bothered by all sorts of unrealistic expectations of these (Nessmuk line) boats. “The trouble is,” he wrote to Nessmuk, “every d— fool who weighs less than 300 thinks he can use such a canoe too, I get letters asking if the Bucktail (10 1/2 feet long and weighing 22 lbs.) will carry two good -sized men and camp duffel and be steady enough to shoot out of it. I told one fellow that I thought he’d shoot out of it mighty quick if he tried it. One such d— fool was William West Durant , the central Adirondack land developer. “he is near six ft. and 170# (guess) ,” wrote Rushton of Durant when Durant visited the shop during construction of the Sairy Gamp. “I had hard work to keep him from ordering a duplicate, as it was he ordered a ‘Nessmuk.’ “. Durant named his boat, built on the dimensions of the Susan Nipper, Wie Lassie“. Here is Wie Lassie on display in the Adirondack Museum..
Wie Lassie on display in the Adirondack Museum. The Wie Lassie is 10 ft. 6 inches long and weighs 20 lbs. To my mind Rushton’s legacy is the Nessmuk line of small, lightweight canoes. Before these boats arrived on the scene the only option for getting about in the North Country was the guideboat or a two man canoe. These little boats were propelled by one seated on a cushion in the bottom of the boat using a double bladed paddle. “Outers” clamored for these boats because they opened up the vast wilderness of the North Country to common folk. The Wie Lassie hull design has been reproduced or modified innumerable times right up to our times as professional boat builders and amateurs have recognized this near perfectly designed craft.